Skate the Arrowhead Ice Trail Midweek and Enjoy Less Crowds! 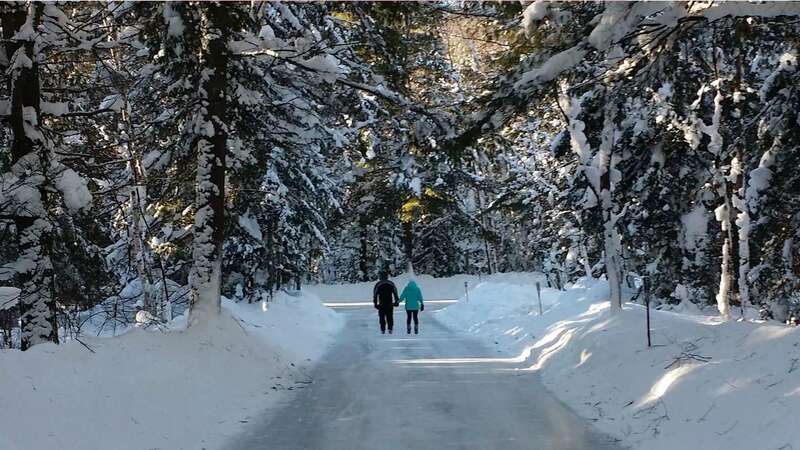 Make Deerhurst Resort your home base to enjoy Muskoka’s most popular attraction, the Arrowhead Ice Skating Trail FREE with this offer, located just 10 minutes from the resort. Book this midweek accommodation offer between January 7 – March 8, 2018 (conditions permitting) and get one FREE one-day vehicle permit to enjoy the famous ice-skating trail plus tubing and snowshoe trails at Arrowhead Provincial Park. One vehicle pass per room per night, includes access for all passengers in the vehicle. A nightly resort fee includes access to skate rentals, snowshoes, x-c skiing and more for everyone in your room. Weather dependent. Conditions apply. From Deerhurst, turn left onto HWY 60 east; turn right at the Muskoka Rd. 3 lights and turn right at Arrowhead Park Road. See map here. Outdoor activities subject to weather and trail conditions. For current conditions follow Arrowhead on Twitter, or view the daily trail conditions (skating trail noted at bottom) or call 705-789-5105. Note: Use of Arrowhead’s excellent cross-country ski trails is additional and can be arranged at the park office for a surcharge.